20 X Instant Natural Coconut Water Mix Sachet 18gm. Empty contents of 1 Sachet into a suitable container. Add 300ml of cold water, stir gently to dissolve & serve fresh. Benefit of Coconut Water Sachet. 30 X Instant Natural Coconut Water Mix Sachet 18gm. Empty contents of 1 Sachet into a suitable container. Add 300ml of cold water, stir gently to dissolve & serve fresh. Benefit of Coconut Water Sachet. 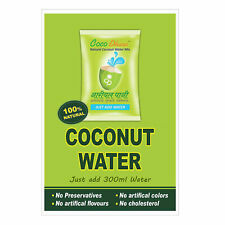 50 X Instant Natural Coconut Water Mix Sachet 18gm. Empty contents of 1 Sachet into a suitable container. Add 300ml of cold water, stir gently to dissolve & serve fresh. Benefit of Coconut Water Sachet. 40 X Instant Natural Coconut Water Mix Sachet 18gm. Empty contents of 1 Sachet into a suitable container. Add 300ml of cold water, stir gently to dissolve & serve fresh. Benefit of Coconut Water Sachet. Quantity : 60g (2oz). 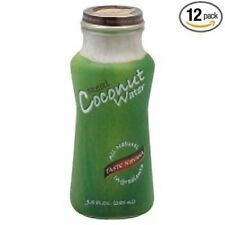 - Coconut Extract 90%. - Add coconut milk powder into water. - Then stir until getting a rich coconut cream. - Sodium Caseinate (Milk Protein). I will always try my best to solve the problem! 10 X Instant Natural Coconut Water Mix Sachet 18gm. Empty contents of 1 Sachet into a suitable container. Add 300ml of cold water, stir gently to dissolve & serve fresh. Benefit of Coconut Water Sachet. Product of Jamaica. Nature’s refreshing and tasty thirst quencher with less sugar, calories, sodium and chemicals. Chao Thai Coconut Cream Powder 60g. - Chao Thai coconut cream powder in made from real coconut cream. The powder makes it an easy way to use and keep the coconut cream powder. You will get the coconut cream 200ml. 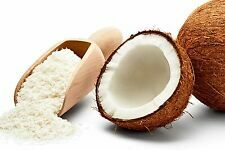 Coconut Powder: Desiccated coconut powder is obtained by drying ground or shredded coconut kernel after the removal of brown testa. It finds extensive use in confectioneries, puddings and many other food preparations as a substitute to raw grated coconut. Leeve Coconut Desiccated - 400 Gms. ZICO Natural 100% Coconut Water supports hydration with five naturally-occurring electrolytes, including as much potassium as a banana per bottle. ZICO is not from concentrate and no sugar added (not a reduced calorie food. ). Our natural spring water is only bottled at the water's source ensuring freshness, quality and taste. While most bottled waters are purified tap water, highly processed and flavored with added minerals, our spring water is never compromised. 100% natural spring water captured at the source, and sourced only from carefully selected springs. Contains naturally occurring minerals for a crisp, clean taste. UPC: 083046991778. International Expedited. Coconut flavor. Free from milk, gluten. - Reduce Saturated Fat. 1 Box contains Gamma Oryzanol 31.97 mg. Nature Identical Flavoring. If you have any trouble whatsoever. Isolated soy protein 0.3%. 100% Coconut Water, Not from Concentrate. Supports Hydration with Five Naturally-occurring Electrolytes. Panang curry paste 10%. Fish sauce 2%. Coconut milk 60%. Coconut Sugar 7.5%. Allergy Information : Contains shrimp and fish. We contract with integrity. Palm oil 3%. Water 17.45%. Coconut Milk Cream Powder. coconut cream powder is a great substitute for milk in coffee. Coconut cream powder can be added to coffee, along with a bit of sugar. Coconut Cream Powder. and with a bit of water you have instant coconut milk. Vita Coco is a natural, never-ever-from-concentrate coconut water. Vita Coco is fat free, cholesterol free, gluten free and non-GMO verified - so you get all the goodness without the guilt. Indonesia & Brazil. Vita Coco is a natural, never-ever-from-concentrate coconut water. It's fat free, cholesterol free, gluten free and non-GMO verified—so you get all the goodness without the guilt. Enjoy the taste of pure coconut water without cracking open coconuts with Vita Cocoa Pure Coconut Water. Hydrate naturally. Pure vitamin- and mineral-rich coconut water. Great source of potassium. HYDRATE WITH THE GOODNESS OF COCONUTS Nutrient rich and full of electrolytes Vita Coco is a great way to hydrate after working out, after a night of drinking, or when you're just thirsty. - HAND-PICKED ON SMALL FARMS Our coconuts are carefully hand-picked on thousands of small farms throughout the tropics. Not so long ago, you had to use a machete if you wanted a sip of pure coconut water. Vita Coco is never made from concentrate. After the coconuts are cleaned, the delicate water inside is flash pasteurized (and occasionally mixed with all-natural fruit puree) then poured into a shelf-stable Tetra Pak. Our coconuts are harvested from the prized Nakorn Pathom province, where they grow larger and taste sweeter than from any other region in the world. 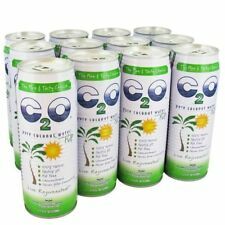 All Natural Taste Nirvana Coconut Water is a great source of electrolytes. Our coconuts are harvested from the prized Nakorn Pathom province, where they grow larger and taste sweeter than from any other region in the world. 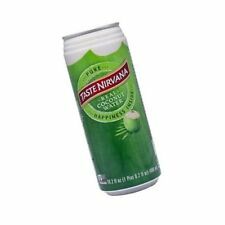 All Natural Taste Nirvana Coconut Water with Pulp is a great source of electrolytes. Flavor:Pure Organic Not so long ago, you had to use a machete if you wanted a sip of pure coconut water. Vita Coco is never made from concentrate. After the coconuts are cleaned, the delicate water inside is flash pasteurized (and occasionally mixed with all- natural fruit puree) then poured into a shelf-stable Tetra Pak. ANTIOXIDANT INFUSED as well as gluten free, non GMO, vegan and kosher, with low glycemic index. We would love to be given the opportunity to work with you to resolve any problem you may have. Do you need your item quicker than that?. ANTIOXIDANT INFUSED – as well as gluten free, non GMO, vegan and kosher, with low glycemic index. ROAR Organic is a cutting-edge, delicious line of Organic, Low Calorie, Electrolyte Infusions. - EVERYTHING YOUR BODY NEEDS, NOTHING IT DOESN'T: ROAR Organic uses a proprietary Electrolyte Blend created with organic coconut water, organic cane sugar and sea salt for healthy hydration and refreshing recovery. 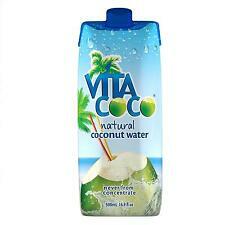 Vita Coco is a natural, never-ever-from-concentrate coconut water. Vita Coco is fat free, cholesterol free, gluten free and non-GMO verified - so you get all the goodness without the guilt. Replenish lost electrolytes.